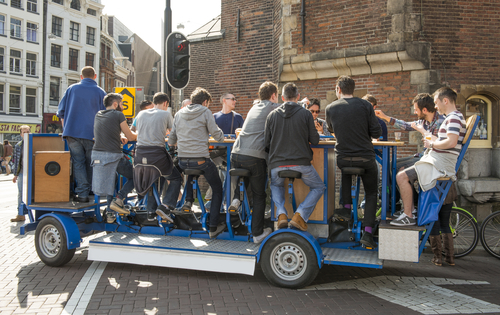 City officials can ban the beer bike from central Amsterdam after all, judges ruled on Tuesday. At the end of last year, judges halted moves to introduce a ban, saying the decision had not been properly motivated. In Tuesday’s ruling, however, the court said the problems caused by the beer bikes – noise, public drunkenness and urination in public – are currently concentrated in a small part of the city and this is creating a public order problem. The ruling clears the way for the introduction of a ban on November 1, the Parool reported. The beer bike has become a symbol of the problems caused by too much tourism in the city centre.